What is a vehicle identification number VIN? 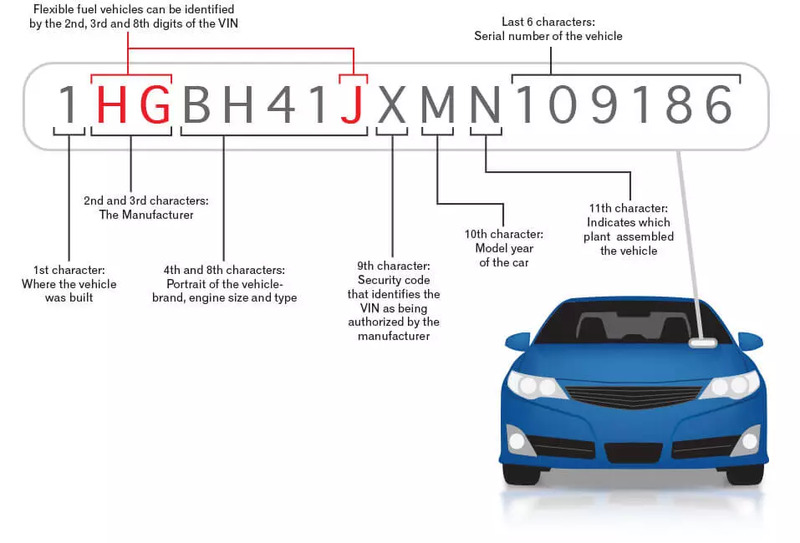 Every car has a unique vehicle identification number (VIN) the car’s identity code, sometimes known as the chassis check number. A VIN contains 17 characters (digits and capital letters) giving a car its identification. The VIN acts as the car’s fingerprint. No two vehicles have the same vehicle identification number. The DVLA VIN shows the car’s features and specifications as well as the country of manufacture. Cars built in the UK contain SA-SM in the VIN. On the door frame/door post of the drivers front door. On the dash near the windscreen. On the engine (machined pad on the front of the engine). In the left-hand inner wheel arch. On the steering wheel/steering column. On the radiator support bracket. On car’s V5C vehicle registration certificate. The vehicle identification number serves to track car registrations, warranty claims, and car crime, as well as the manufacturer, recalls. When you buy a car, the VIN is one of the things that you must check to ensure you are not buying a stolen car.